Every year people get into trouble on Sharp Edge on Blencathra. The ridge is a classic scramble (easy rock climb) and in dry conditions should present few problems to competent hill walkers with a head for heights and wild exposure. In wet, windy or winter conditions the ridge becomes very slippery and dangerous for several days after rain, and worth avoiding unless you are experienced and well prepared. 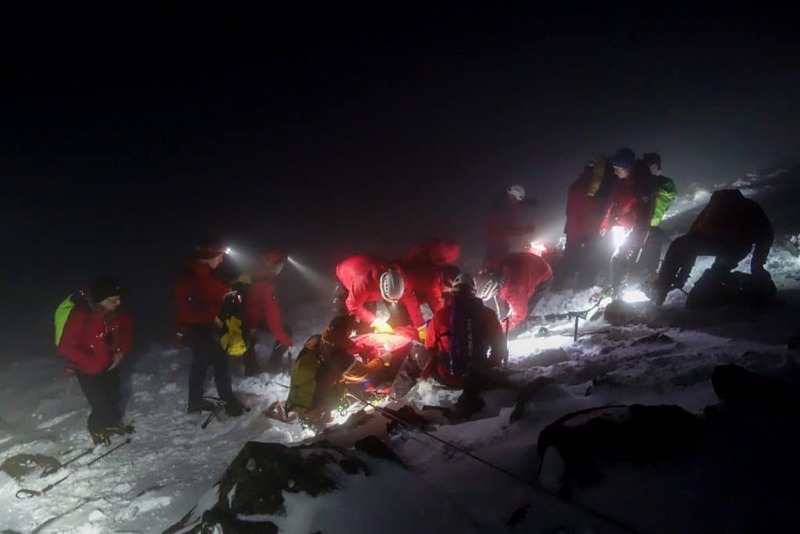 Great End is an accessible winter climbing venue and this is when most of the incidents have occurred. 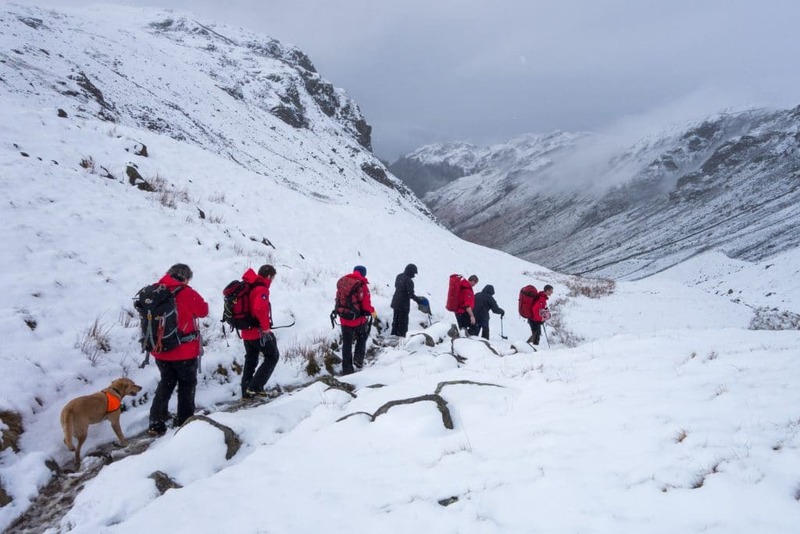 Some of the causes of the accidents include avalanches, tripping on crampons, getting benighted, people getting separated in bad weather, people getting lost and climbing falls. It seems the main culprit here is Alfred Wainwright. Too many people whilst following his route up Barf fail to cross the stream at the bottom of the scree to find the footpath through the forest. 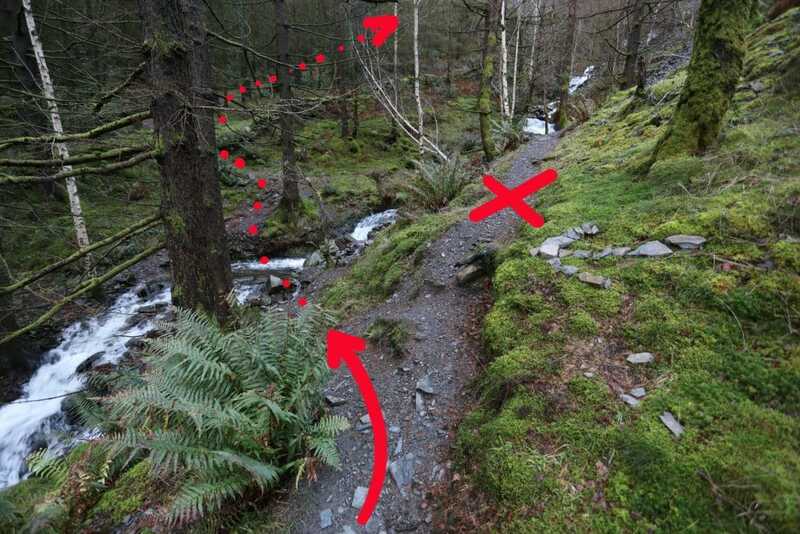 Instead there is now a well-worn path leading up the Barf side of the stream which, as you climb higher, takes you onto steeper ground and soon becomes precipitous and tricky for many people. In any year local conditions can make certain routes or areas particularly hazardous. This was the case in early 2018 when the ‘Beast from the East’ dumped lots of snow on the fells. On the normal route up Helvellyn from Swirls one steep snow patch persisted for weeks on the west side of Brown Cove Crags and was the venue for four separate callouts. 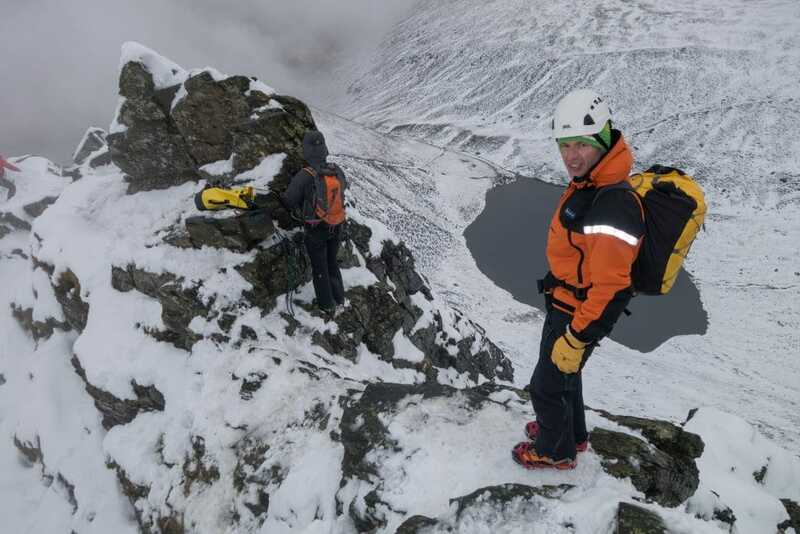 The cause of these incidents invariably was lack of the right equipment; having good crampons and an ice axe could have stopped these falls and in one case prevented a fatality. Despite being ‘one of the great favourites, a family fell where grandmothers and infants can climb the heights together’ (Alfred Wainwright), Catbells is surprisingly tricky in it’s upper reaches. These rocky steps have been the cause of many incidents with minor slips causing lower leg injuries as the most common injury. The high number of people climbing this popular hill inevitably means that there will be more callouts here. Greenup Edge is located at the top of Borrowdale, at the head of Greenup Ghyll beyond Stonethwaite. This is part of the Coast to Coast route which sees a fair amount of traffic. Typical incidents here are people getting caught out in bad weather: snow, low cloud, wind and rain. There is steep and rocky ground too near Lining Crag which has been the cause of slips and trips resulting in leg injuries. It is a fair old hike up here and helicopter assistance is always much appreciated when available. Occasionally paths and rights of way are badly placed on OS maps. This is not normally a problem as a well worn path down a sensible route will have been in place for years. When walkers, especially when using a GPS, follow the mis-marked route on the map a trod develops thus encouraging more people to follow the same, in some cases potentially dangerous, route. 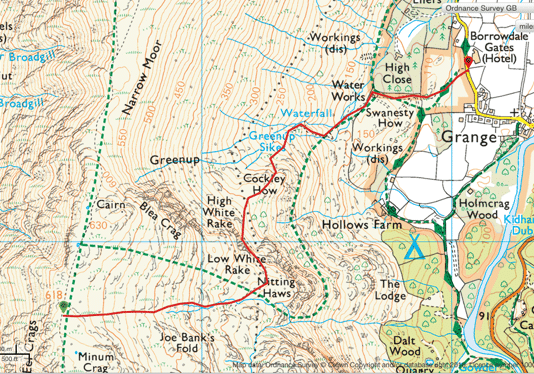 One such example is the path leading off the main trail between High Spy and Maiden Moor that descends around Nitting Haws and down into the Borrowdale Valley at Grange. 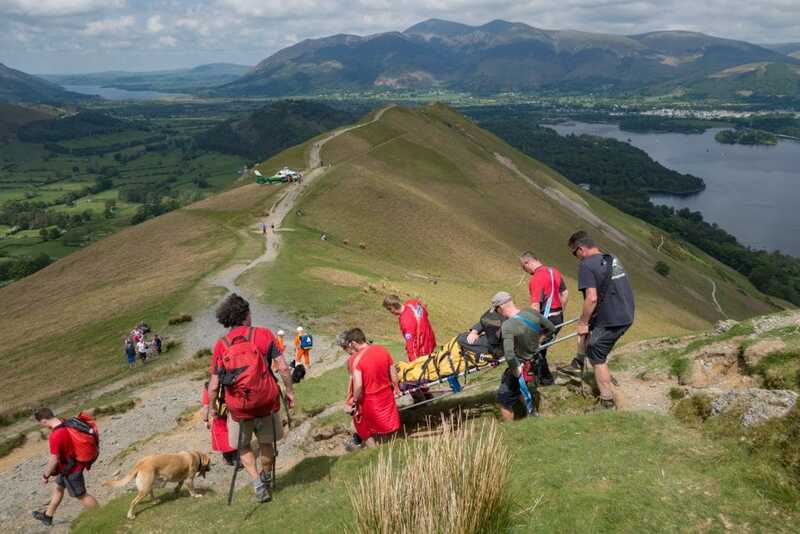 The team were called out to three separate incidents in 2018 in the space of two weeks where people had followed this erroneous path and got into difficulty, two of which leading to falls and injury. There is a much better and safer route following a good historical path starting at NY 23458 16701 and passing via Low White Rake (NY 24201 16807) and the NE side of Cockley How to point NY 24495 17431 shown by the red line on the map. Normally it’s the dogs doing the rescues but, like us, they are also prone to misfortune whilst out and about in the fells. In 2018 we had three dog rescues. 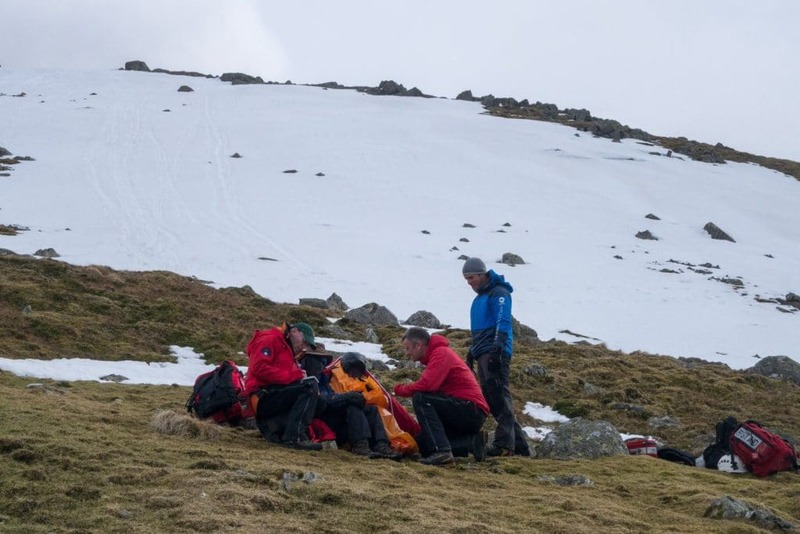 One (incident 48 in June) was for a 6 year old otherwise fit and healthy husky who for some unknown reason could not be persuaded to continue descending from Scafell Pike. It turned out the dog had lacerations to its paws. 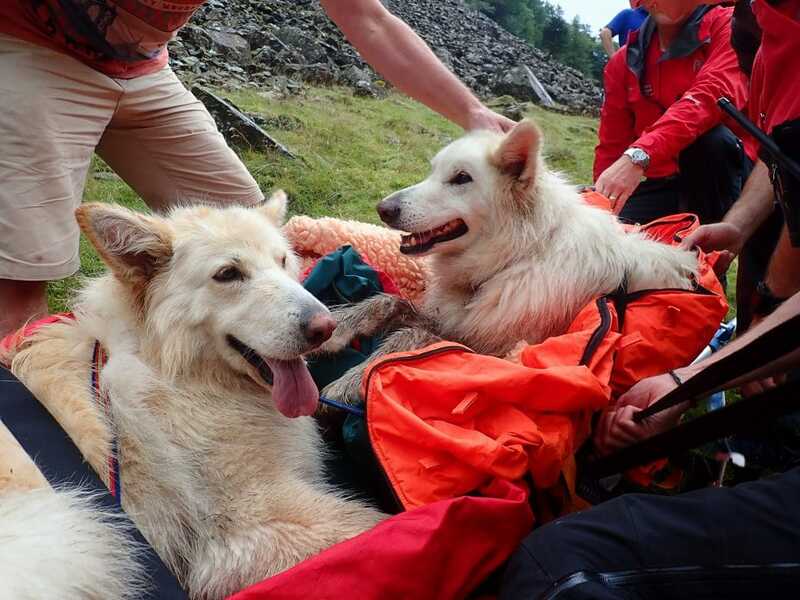 Another was a double dog incident (number 78 in August) involving two white German shepherds who had both fallen 30 feet from a crag on Castle Crag. Both dogs were placed in a ‘nest’ of a vacuum mattress and casualty bag on the stretcher and carried down. The team has a long history of sheep rescues. In 1961 alone there were 18 sheep rescued. In 1963 the team even considered introducing a fixed charge for sheep rescues. In 1964 The team received the R.S.P.C.A. Certificate of Merit for animal rescues. 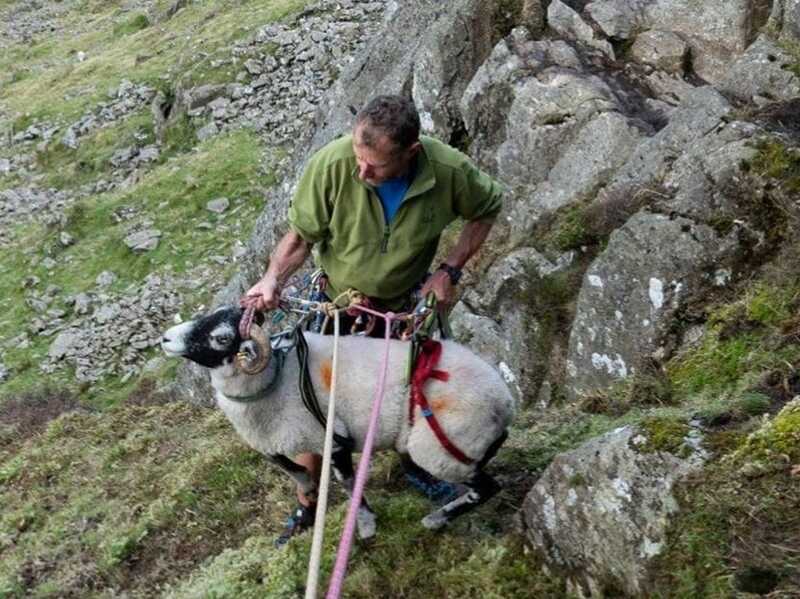 Over 200 animals are estimated to have been rescued and most years team members will get involved in a sheep rescue somewhere in our local fells.